Fallout 76 expands on the base building features first introduced in Fallout 4. They are a little more robust this time around, which is great given you can build your Camp almost anywhere on the map. It can be a little tricky to get the hang of initially though, especially when you don't have a lot of materials to build the things you want. To help you get a foothold in Fallout 76 Base Building, we've put together this Fallout 76 Base Building Guide. It details how to build camps in Fallout 76, how to get new plans, and how to save your Camp to blueprints so you can deploy it anywhere. We'll also take a look at moving your Camp, and at the game's Stash Limit. Looking for the best possible place to set up camp? Look no futher than our tips on the best Camp locations in Fallout 76. 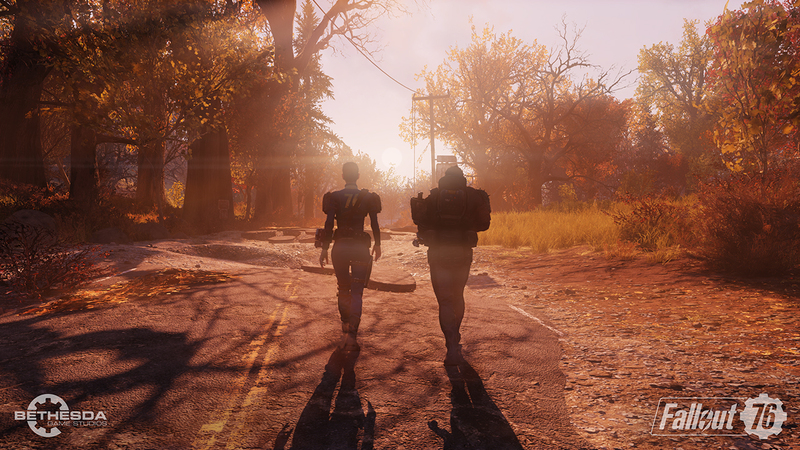 For more on Fallout 76, head over to our Fallout 76 Guides hub, where you’ll find everything to know about the upcoming title. There’s details like tips, best weapons, and more. What if Two Players Build in the Same Spot on the Map? If you're looking to move your Camp in Fallout 76, you'll want to make sure you have it saved to Blueprints first. This allows you to rebuild all of the key components at the touch of a button, saving you time and caps. To save your Camp, head into the Build menu at your Camp and then switch to modify. From there you can use the Blueprint option (it's E on PC) to save each component to a blueprint. You can't save your entire Camp to a single Blueprint, annoyingly. But once you have all of the core stuff saved down, you can rebuild easily. 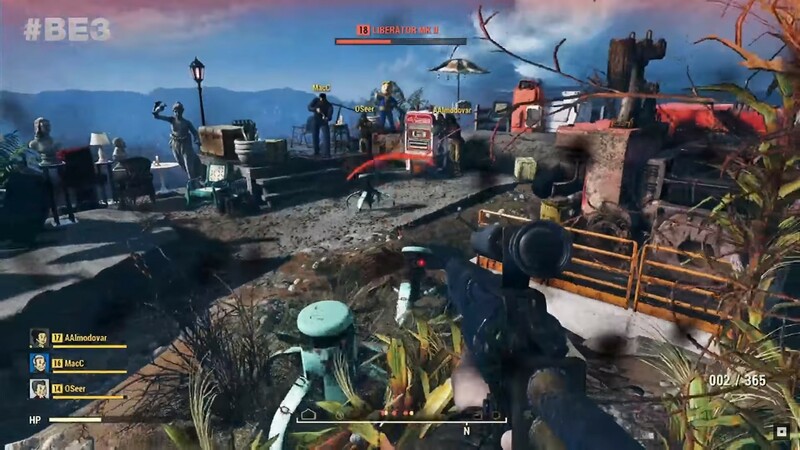 We learned a lot about how building settlements will work in Fallout 76 during Bethesda’s E3 Press Conference. Of Course, building was a huge part in Fallout 4, where players could build up settlements and attract NPCs to live there. It looks like Fallout 76 has even more of a focus on building mechanics, allowing players to build settlements anywhere they want this time. With no human NPCs to speak of in Fallout 76 though, it'll be up to you and your friends to fill in the scenery and populate any structures you build. As such, there’s plenty to glean from the presentation so we’ve gathered together a handy list of all of the key details on building in Fallout 76. 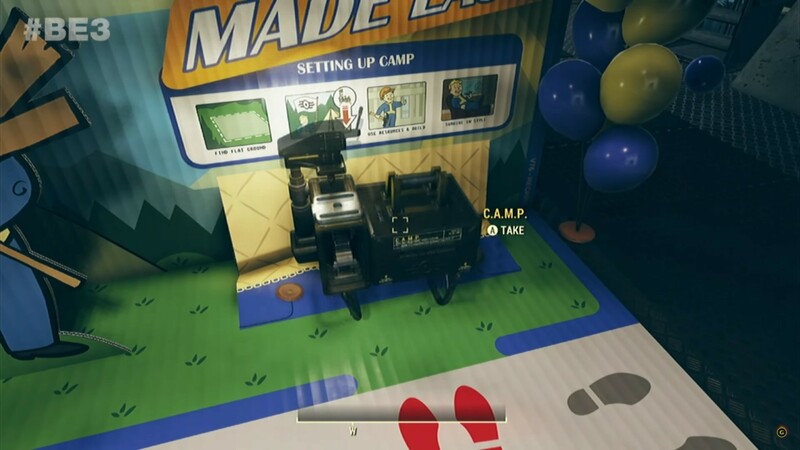 C.A.M.P System - Fallout 76 will feature a brand new building system called C.A.M.P, which is a portable building platform. This allows players to build whenever and wherever they want. Monster Invasion - Fallout 76 features all new creatures based on the wildlife commonly found in the West Virginia area, but you know, radioactive and gross. These monsters will periodically attack a player’s base, so must be stopped at all costs. Trophy Shot - Once the monsters are killed, you can take a photo to celebrate your victory. Players can pose with the corpse of the defeated monsters along with their buddies. Fallout 76 is the first online-only Fallout game. The series has played around with multiplayer before, but this is the first time we've seen a co-op, server-based endeavor. There's been a little bit of confusing regarding how Base Building will work with multiple players involved. We've collected some info below to set the record straight on Fallout 76 co-op base building. If you build a base using the CAMP system, and your friend is there to help you build, their parts will disappear when they leave. There are public workshops found around the map. These can be built up with your friends, and will stick around when logging back in. You will have to defend them though from waves of robots and other players, as they can easily take everything from you if you're not careful. We'll be able to clarify with more detail as we spend some more time with the game so stay tuned for updates. Since being announced earlier this year, Fallout 76 has shown itself to be a different beast to what we've seen from the series so far. One of the key differences is in the way that bases can be built anywhere on the map. This, of course, prompted certain players to ask the question of "what happens if two players build in the same spot?". we'', Todd Howard has an answer for that, an answer that he gave during the NoClip Making of Fallout 76 documentary. He explains that while it is incredibly unlikely to happen, it is possible for a player to build a base, leave the server then have another player build in the same spot. Upon returning, the first player's base will have been packed away into the C.A.M.P System, where they can choose to rebuild elsewhere. C.A.M.P is not all about building bases, mind. You can also use it to craft and mod weapons. It's an important part of the game, expanding on the modular weapon crafting introduced in Fallout 4. You'll need resources and caps in order to craft weapons, so get out there and explore Appalachia. Having a base is incredibly handy for a number of reasons. The main use is that you can fast travel to it for free, which is not the case for other locations on the map. As you spend more time in Appalachia, you'll likely move from region to region, meaning your first base may start to become less useful as a fast travel point. Luckily, you can move your base whenever you want, for a small fee. just head into your Camp menu with L1 and select move Camp. You'll need to pay a small fee, that does increase slightly as you progress. Before you decide to up and move your Camp, you'll want to make sure you can rebuild it quickly. Plans let you do just that, and are essentially Blueprints that allow you to build structures with the push of a button. Everything from beds and art, to full building sets can be built from Plans, but how exactly do you get them? You can pick up Plans in a number of ways. You can find them while out looting in the world, from dead enemies, and as mission rewards. It's completely random where these plans are found, so you just have to get out there and get exploring. You'll need to collect resources in order to build your base out. Wood is incredibly important, as are metals like steel and iron. You get resources by scrapping junk and by collecting them from set deposits in the world. Wood is obtained from piles found around structures. As such, we recommend that you pick up as much stuff as possible, then scrap it at a workbench. Use your storage stash to keep building resources, as being encumbered is not very fun. At the time of writing, there is a 400 stash limit for your Fallout 76 Camp stash. This is pretty low, and many players have been calling for an increase. Bethesda has acknowledged the concerns, and have said that they are working on a fix. As soon as they increase the stash limit, we'll be sure to let you know. There's a large body of water to the south of the Top of the World Train Station. There's plenty of land for farming, and you can easily set up a bunch of water purifiers along the water line. At the Lumber Mill is a great place to set up. There are drones that will protect you, and planty of scrap to loot. Route 94 has a bunch of farms in a small enough area that you can easily build food harvesting machines there. There will also be lenty of supplies to forage naturally too. 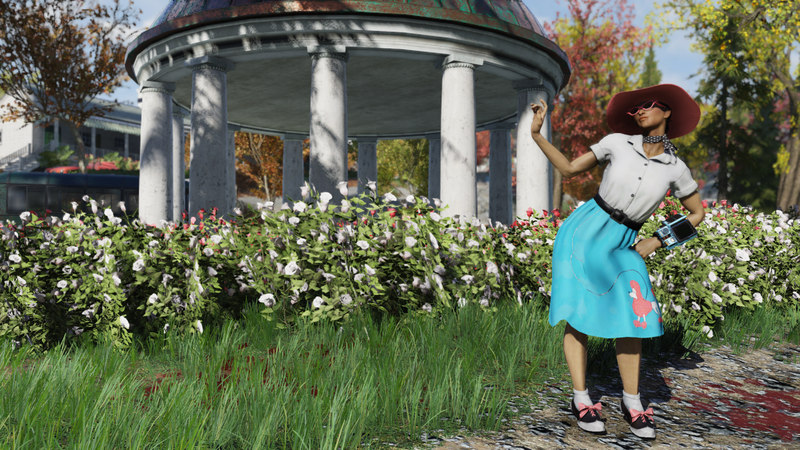 The Golf Course at Whitespring is a great place to build, given that it has a near endless supply of melee weapons in the myriad golfclubs littered around. There's also a lot of land to build on. Tagged with E3 2018,	Guides,	MMOs,	PC,	PlayStation 4,	Xbox One.